SBM specializes in the structural design of Mid-rise residential buildings ranging from one to six levels. Effective January 1-2015, the Ontario Building Code will permit the construction of 5 and 6 Storey wood buildings. database of 35 different hold down anchors and 250 shear wall combinations. In conjunction with the structural design, the program optimizes the selection of all shear wall panels based on material and labor costs. The program selects the least expensive wall type and analyzes the wall under all design considerations, if the wall fails, the next least expensive wall is selected and the process begins again. This iterative process allows for the most cost effective structure while achieving optimal structural performance. With the advent of improved building materials, design software and skilled trades, mutli level wood framed buildings are becoming of one of the most cost effective building alternatives to both developers and architects. We have completed numerous projects across the province and have highlighted a few recent projects that reflect our work. ​"Mike and the team at Strik Baldinelli Moniz took a pragmatic approach to our 6 storey wood project in Hamilton. 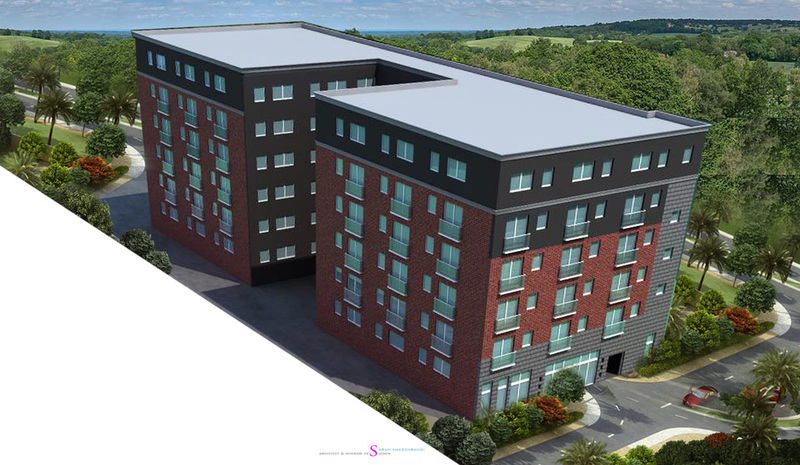 Their ability to balance the project budget, with functionality and design is second to none, we would highly recommend them and look forward to working with them on future projects..."
Retained for this three building complex (60 unit) in Scarborough, Ontario. The BT Towns will be a mix of three/four Storey buildings occupying vacant land in a highly developed area of the city. The product is a perfect fit between low and midrise construction, providing comfortable streetscapes while increasing density for the site. 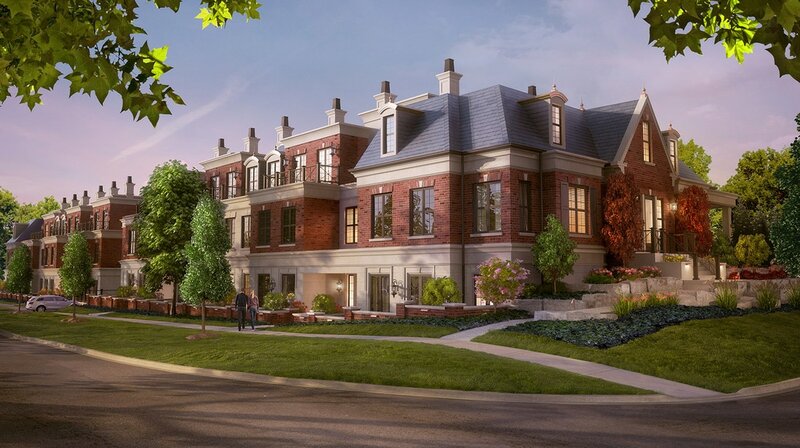 Construction has commenced on this 3 level ‘super high’ end condominium in Oakville, Ontario. The building will have 19 condominium units with below grade parking, 4 elevators, 4 sets of stairs, 10’ ceilings and individual terraces. We were retained for the structural, mechanical and electrical design on this project. 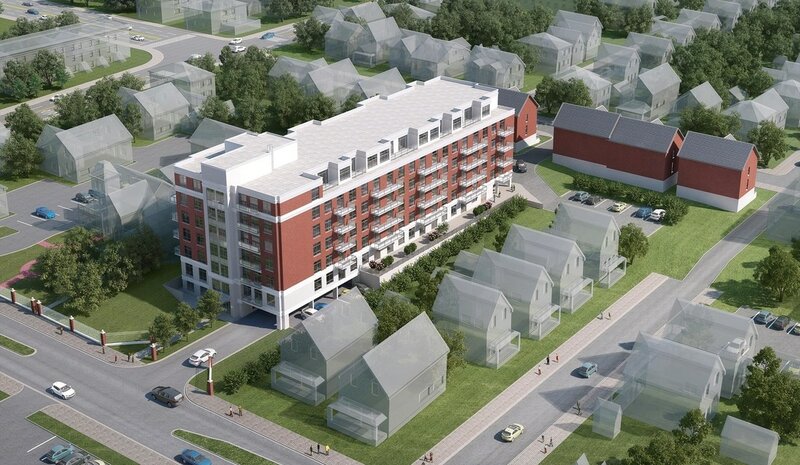 Retained to complete the Structural, Mechanical and Electrical Engineering for this 6 Storey Residential project in Kitchener. Construction is slated for Summer of 2017. Retained to complete the structural engineering on these midrise wood framed buildings in Toronto, Ontario. The first three buildings will accommodate 4 levels of residential dwellings over top a below grade parking structure. The fourth building will accommodate residential on the upper levels with a commercial component on the main. Retained for both the Civil and Structural Engineering on this 5 storey wood framed building in Cambridge, Ontario. The top four floors are constructed of wood framed construction sitting on a concrete podium. Parking is provided on the main floor below the building. 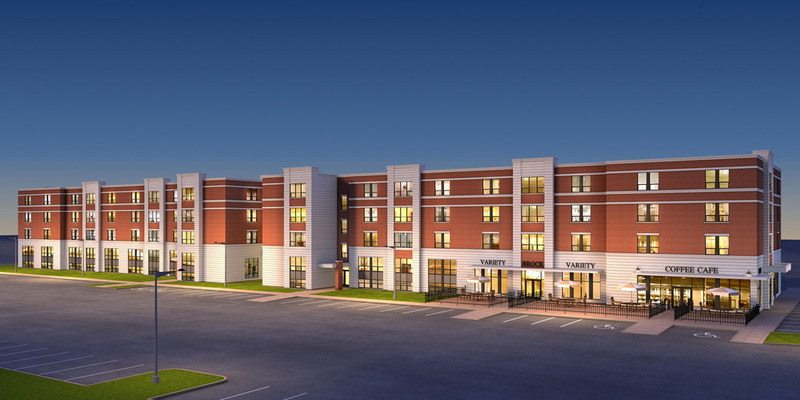 Design has commenced and construction is slated for the Fall of 2016. Retained for the Civil and Structural engineering of this 6 storey wood framed building in Kitchener, Ontario. 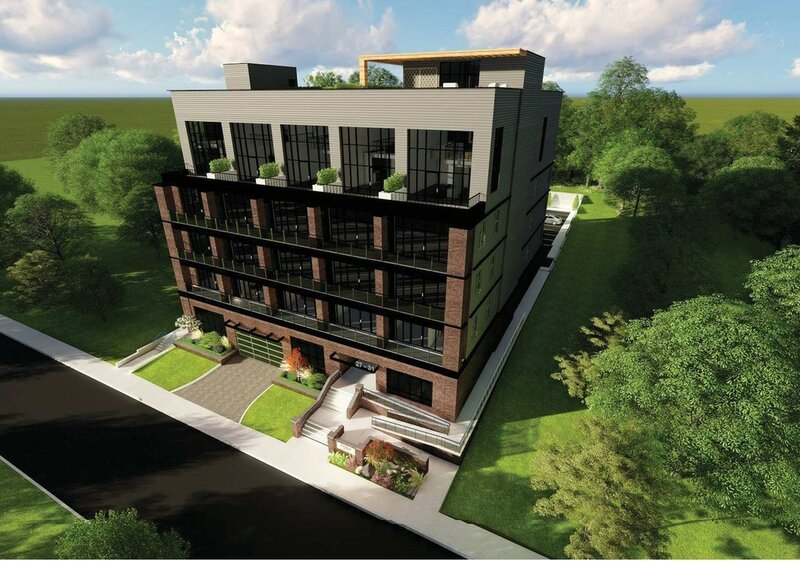 The building will be the first of its kind in Kitchener. Construction is slated for late summer of 2016. Retained to complete the structural design on these multi-level wood framed buildings in Ottawa, Ontario. The buildings will be mixed-use commercial and residential and design. The buildings will be design using SBM’s proprietary wood optimization program, SXNWD. 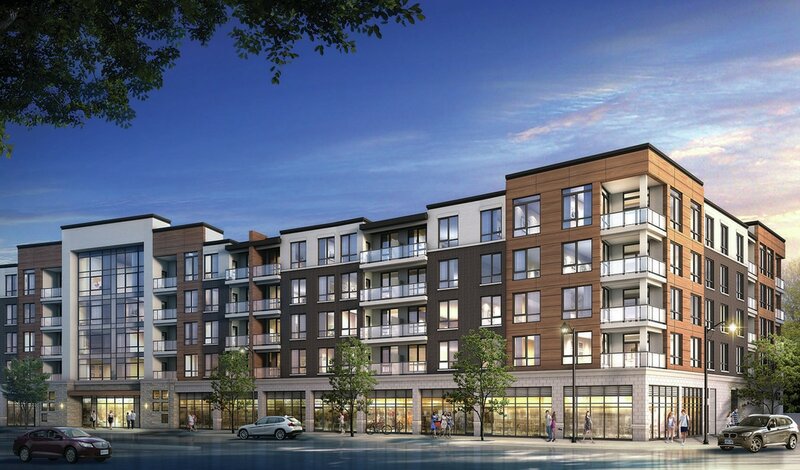 Retained to provide structural engineering design for a new 5 storey wood framed building in Oakville, Ontario. The building will consist of 4 levels of wood framing on top of a concrete podium structure (commercial use), with one additional level of underground parking. 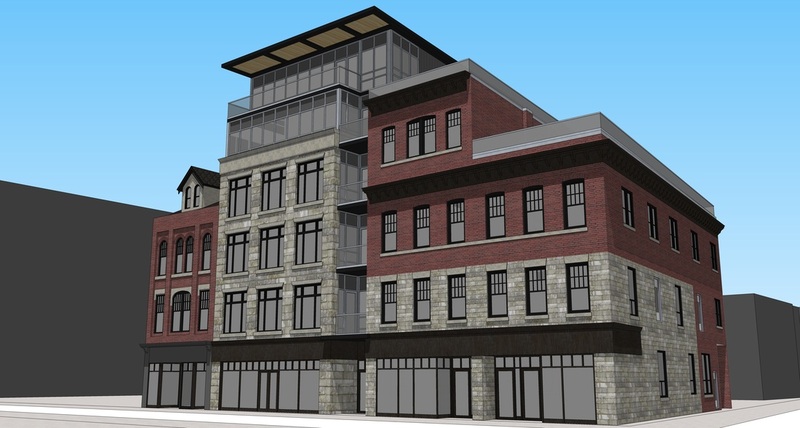 Retained to design a 6-storey wood building in London, Ontario. 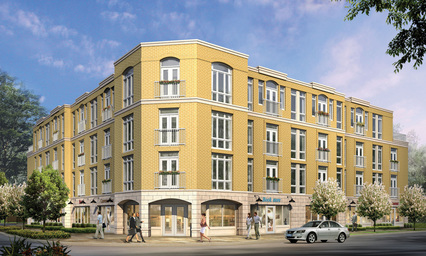 The building will consist of 69 residential units and will be built of all panelized wood framed walls and floors. SBM will be implementing its SX•N•WD design software that will optimized the building design and assist in controlling building drift and inter-storey sway. Retained to provide structural engineering for this development. SX•N•WD Optimization Program Used in Design · Slab on Grade, Suspended Concrete Slab on 2nd Floor , ATS Hold-downs, wood/block shear walls, 16” dp Eng Joist. 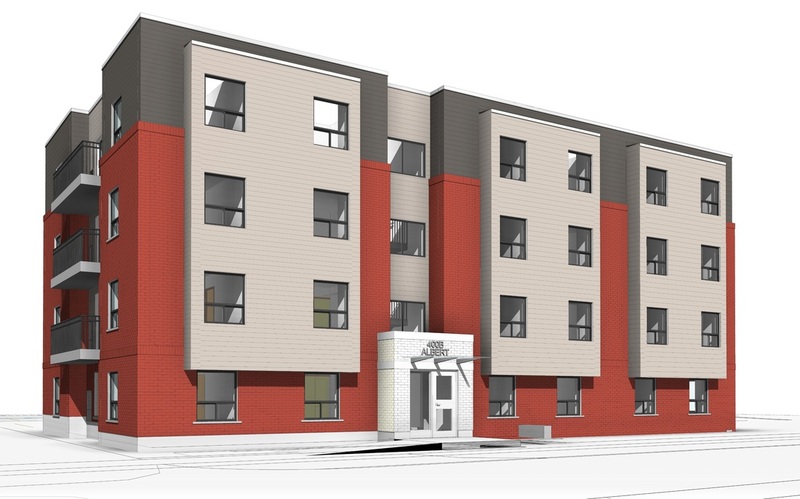 Retained to provide both Civil and Structural Engineering services for this 4 storey wood framed apartment building in Waterloo, Ontario. SBM used its SXNWD design software to optimize the building design. Construction is slated for July 2015. Retained to complete the structural design on this 50,000 sq. ft wood framed building in Waterloo, Ontario. The building features an elevated rear level to accommodate additional parking requirements. The building was framed with 2x6 walls, engineered floor joists and CMU elevator and stair shafts. 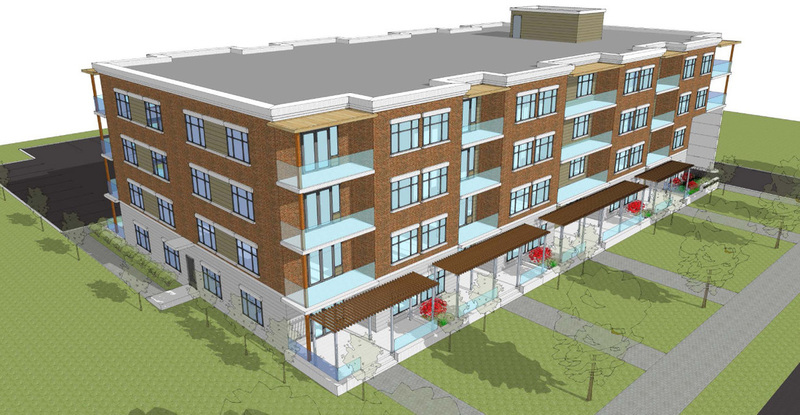 Retained to provide structural engineering design for seven- 4 Storey Wood buildings located in Thorold, Ontario. 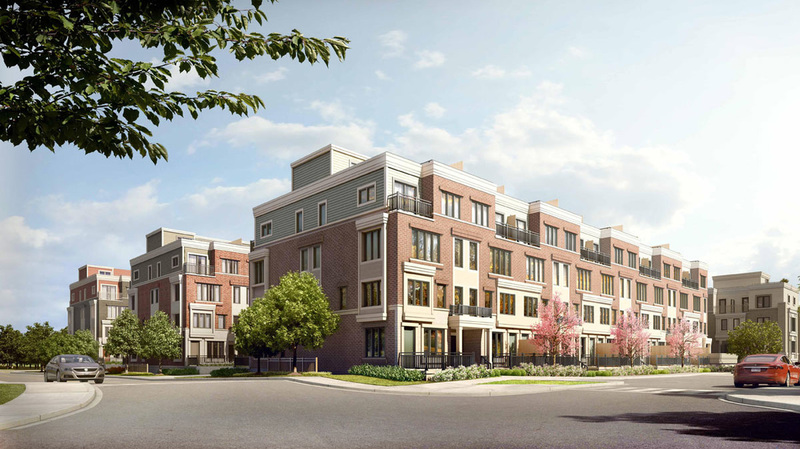 The buildings will primarily be used for student residences located minutes from Brock University. Three of the seven buildings had a mixed use component with commercial vendors on the main floor and basement level. 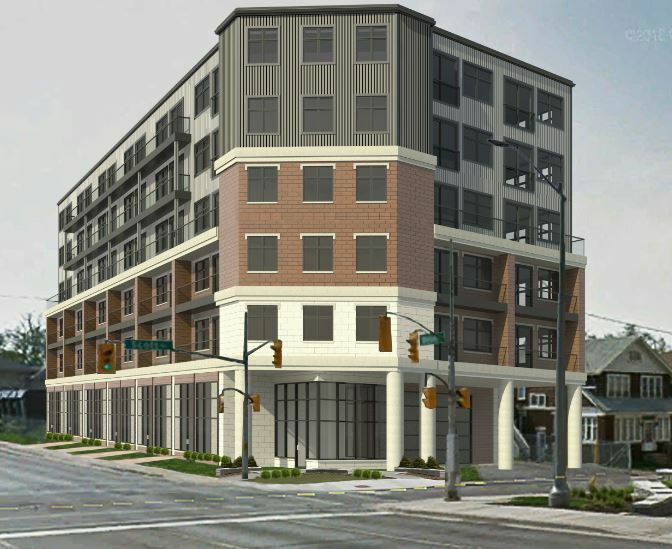 Retained by Tricar Developments to provide structural engineering service for the New 4 Storey Apartment Building in London, Ontario, construction slated for early Spring 2014. Retained to provide structural engineering on this multi-level wood framed building in London,Ontario. The project was awarded 2013 Best Multi-Level Wood Framed building by the Canadian Wood Council. The project was twinned in late 2012. 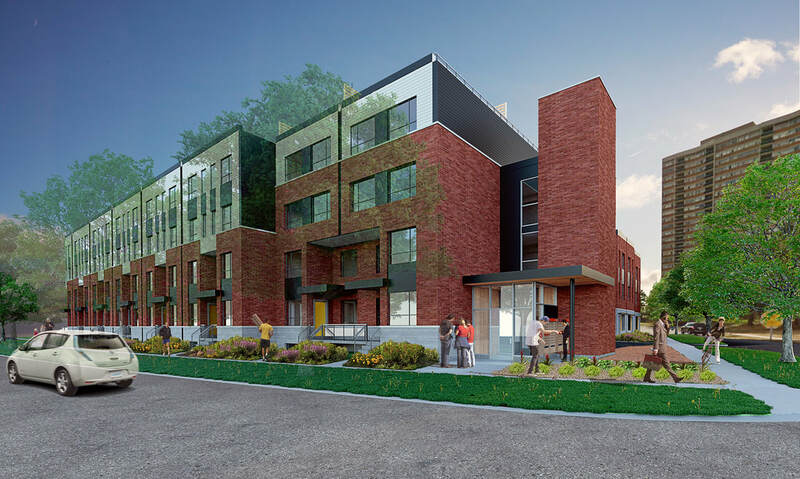 The project is an 38 unit apartment building on the heritage designated Victoria School site in downtown Kitchener. 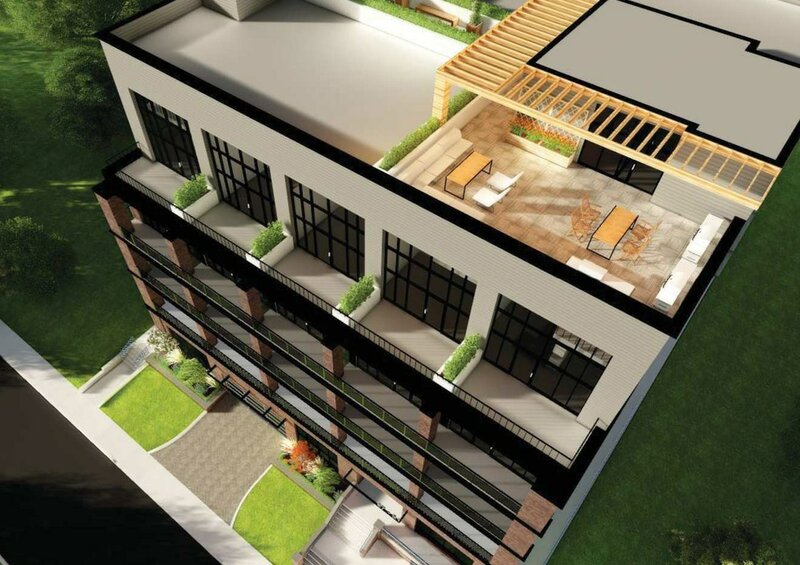 Provided structural engineering design for 4 Storey Wood building located in Kitchener, Ontario. 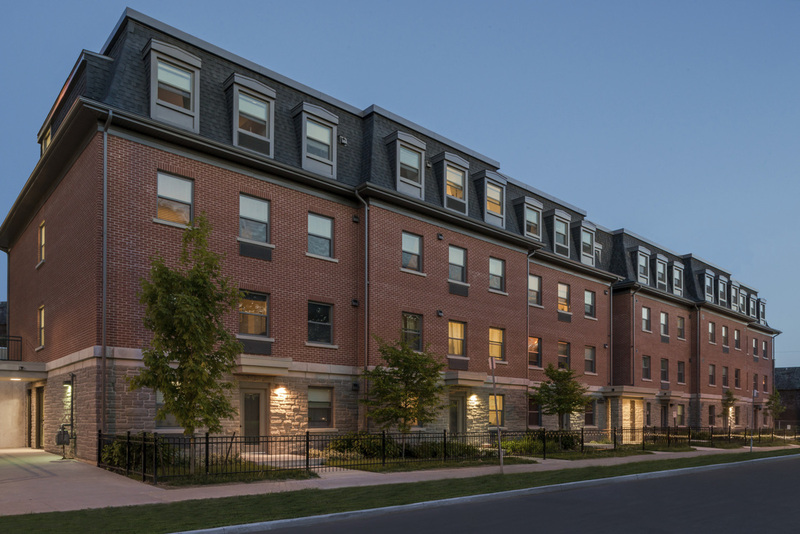 The building houses Affordable Housing Clients for the City of Kitchener and was twinned earlier this year. 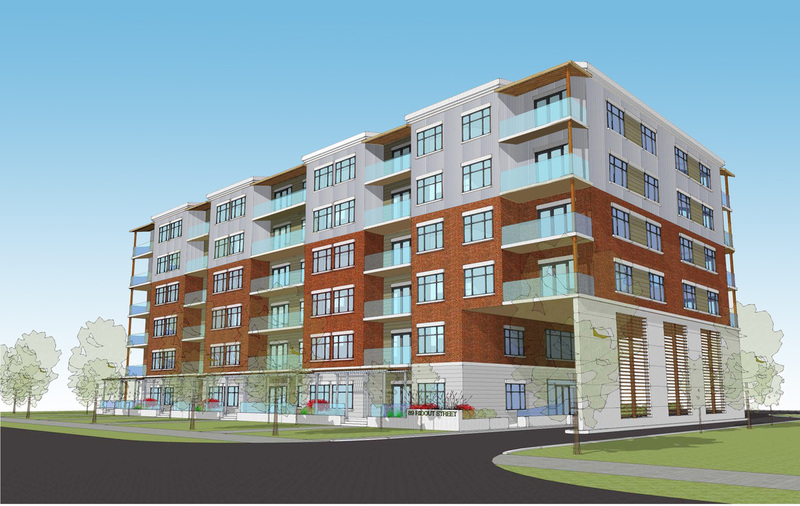 Retained to provide structural engineering design for this mixed use 4-level building with underground parking located in London, Ontario. The building was designed with underground parking with wood framed construction above grade. 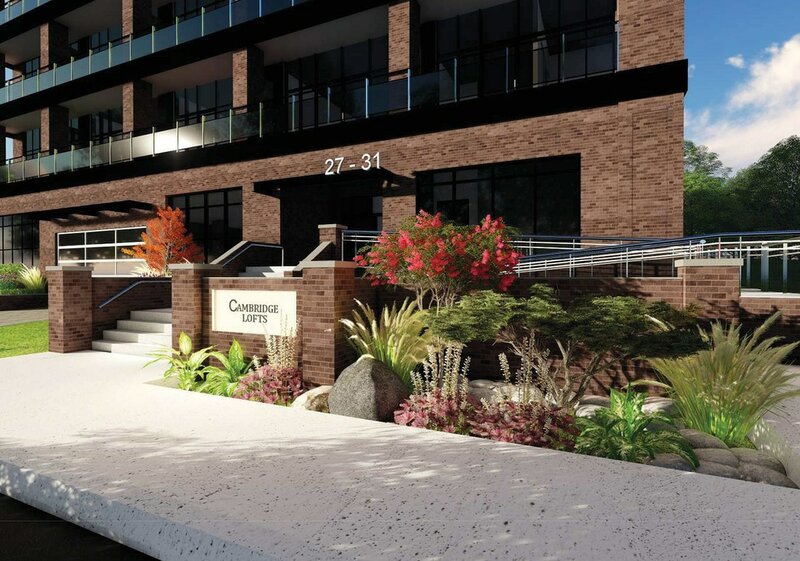 The main floor consists of commercial retail space with high end condominiums above. Retained to complete the structural design on this four level wood framed building located in Kitchener, Ontario. The building was constructed of 2x6 walls, pre-engineered floor and roof system with wood panel shear walls.